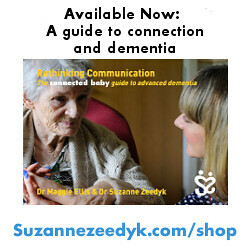 Wow Suzanne, you really have a way of helping us all to understand connection! So sorry for the loss of your friend. No doubt she will be proud to think that she has helped inspire your words. I said to her, but its the loss of her teacher that causes her so much distress, she struggles to manage loss of anything, Suzanne, even losing a tooth causes distress. We really do need to bring this more centrally to the attention of western governments, particularly those of the UK and US.